Since long our team is receiving a lot of demands regarding some patio specific wood pallet creations. It feels like people are more concerned with their patios as compared to the bed room sand lounges. Many people really like to sit in the open that is why a lot of spending is made on the patio decoration. But all goes in vain if the patio isn’t having a proper wooden furniture range. 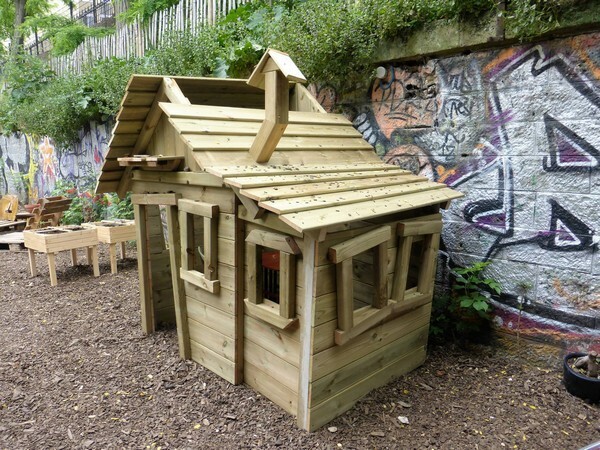 Here a number of pallet wood recycled projects which are patio specific. Have a look on them and make your choice for your patio. This is a large patio of a lavishly decorated house. And the wood pallet creations introduced here are just exceptionally great. 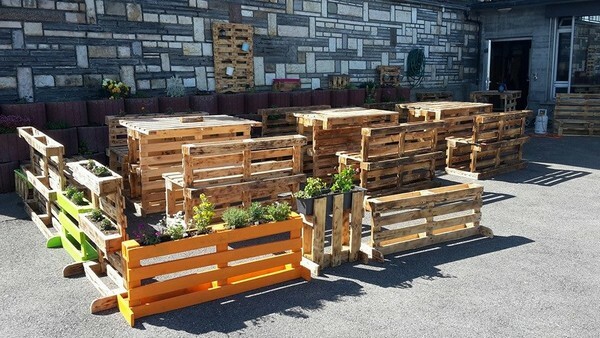 We have done the wood pallet fencing around the set up, then we created a couple of wooden pallet planters. We also made outdoor benches along with the pallet wood tables. 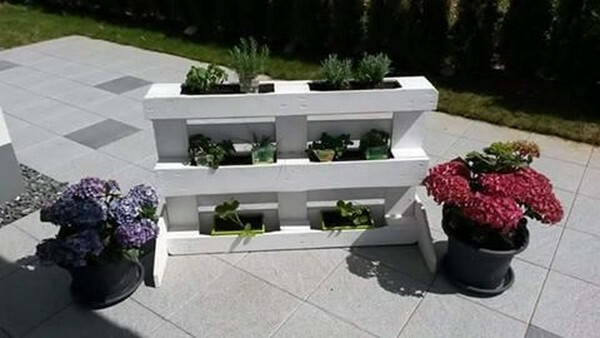 Though you guys have came across a number of wooden pallet recycled planters, but this one is quite unique among all them. It has got a couple of racks where some decoration pieces can be placed so this would become a dual pallet wood creation at the same time. 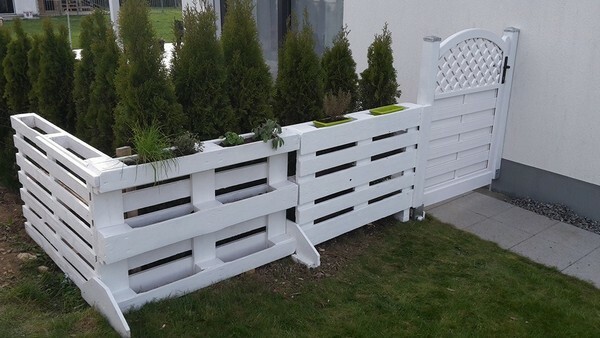 Here comes another sleek and stylish pallet wooden planter. 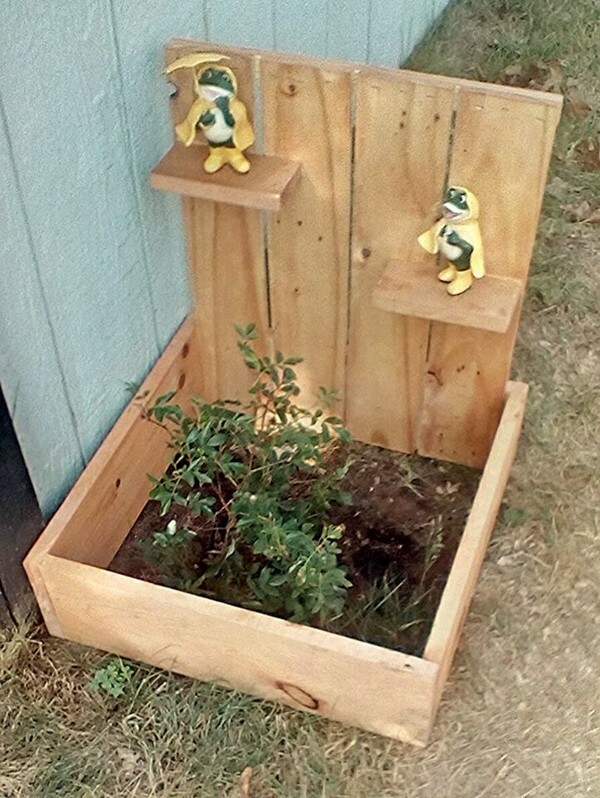 This multi tiered pallet wood planter was purely made with the intention to be placed in the patio. So we painted it with bright white color which looks hundred times better when sun light reflects on it. Some thorny plants from the cactus family were planted inside the pallet wood planter. This grand wooden tower reminds me of the eifel tower I don’t know why. May be this is because of the certain shape that it carries. 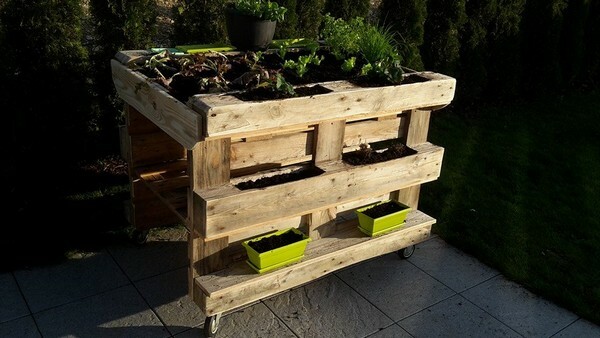 This is again a multi tiered wood pallet planter that has got plenty of space where multiple accessories can be placed along with some planter pots as well. This rustic planter made with the shipping pallet wood was also inspired from the other pallet wood planters. Each tier is provided with separate space for the plantation. Plus the wheels on the base make it easily movable. 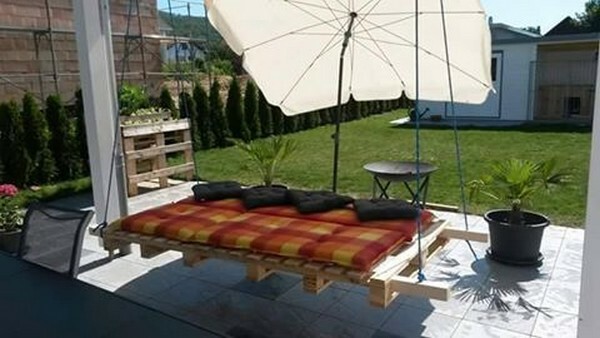 To me, there isn’t a better pallet wood creation for the patio that a wood pallet repurposed swing because I believe this was the best thing that happened to my patio. My pallet wood swing is the place where I spend most of time laying on it and reading my favorite book. 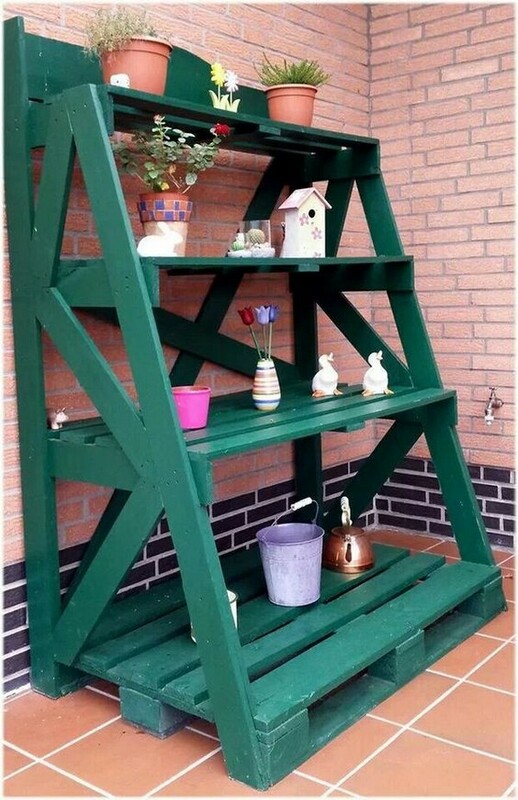 If you have plans to make wood pallet planter for your patio then this is not mandatory that you just have to go for some grand pallet wood planters. But you can keep it as slim and as smart like this one we presented here. And on the end, this one I believe is the best pallet wood fencing that we have done so far. A whole tiny wall made with the wood pallet is installed here on the ground along with a tiny door on the main passage way. A sweet amalgamation of art and creativity.